The first comprehensive treatment of the intellectual foundations, history, politics, and strategy of Mexican anarchism since the Revolution. Formal anarchist organizations disappeared in Mexico after the 1910 Revolution, but anarchist principles survive in the popular resistance movements against the post-revolutionary governments. 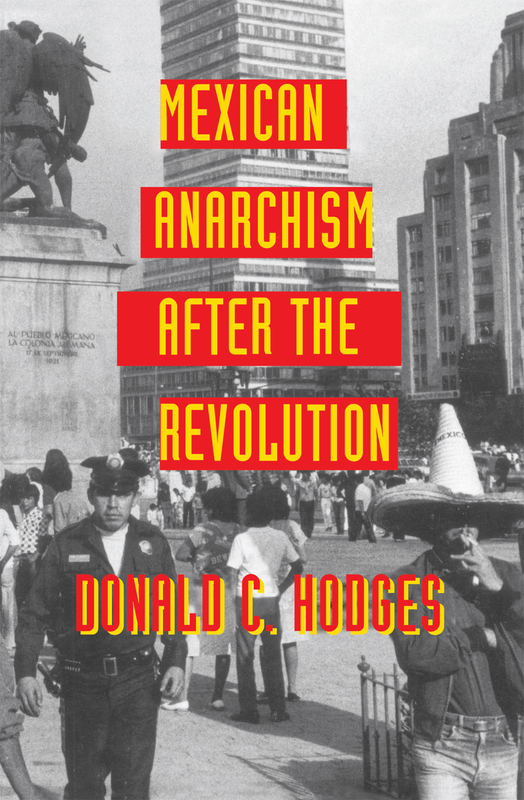 In this book, Donald Hodges offers the first comprehensive treatment of the intellectual foundations, history, politics, and strategy of Mexican anarchism since the Revolution. Hodges interviewed leading Mexican anarchists, including Mónico Rodríguez Gómez, and gained access to documents of numerous guerrilla organizations, such as the previously missing "Plan de Cerro Prieto." Using both original and published sources, he shows how the political heirs of Ricardo Flores Magón, Mexico's foremost anarchist, agitated for workers' self-management and agrarian reform under the cover of the Mexican Communist party, how they played an important role in the student rebellion, and how, in the face of a labor movement that has come under government control, anarchism is currently experiencing a rebirth under another name.